Alice opens a whole new path dedicated to the discovery of talent. The two innovative formats of Alice 2018: the first one related to short films with Alice short film competition, and the second one aimed at the stories written by very young talents with Istant stories and Alice & Cinemotore Award. 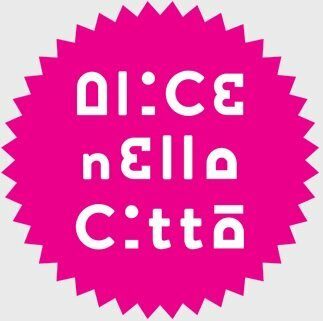 Alice nella città with Premiere Film introduced an international competition dedicated to short films and a training campus for young directors. More than 330 short films have already been submitted and there will still be time until September 10 to submit the shorts via Filmfreeway platform: https://filmfreeway.com/alicenellacitta. The 10 selected directors will not only have the opportunity to screen their short films at the festival and to compete for the Rai Cinema Channel Prize (worth € 3,000 and consequent acquisition of the TV / web rights by Rai Cinema), and the Best Short Award at Alice nella città in collaboration with Premiere Film, which will allow them to be eligible for the Oscars 2020 being screened in Los Angeles cinemas for 7 days. Moreover, they will also be the protagonists of a 3-day training campus promoted by Alice between the festival and the district of Mia – the international audiovisual market between the 18th and 20th of October, during which they will have the opportunity to participate in events, pitching sessions and professional meetings. There will be space also for the stories written by young people thanks to the collaboration of Alice with the cinema portal Cinemotore News always updated on actors, films and news on specimens that will unite to launch a contest in search of new ideas. A jury composed by Manetti Bros, Nicola Giuliano, Paola Minaccioni, Nicola Maccanico and another component that will be unveiled closer to the event will decide the most interesting story which will be awarded on October 27th by the Alice and Cinemotore Award instant stories. The contest is aimed at young people between 14 and 19 years of Rome and Lazio. They will have to send a story on one page of Word. You can send your story to the email redazcine10@gmail.com from August 22nd to September 16th, indicating at the top of the same Word page: Name, Surname, Email and Date of birth. Alice nella città and Cinemotore will select the 10 most interesting stories among those arrived and the authors will receive accreditation to have the opportunity to participate in all the activities of Alice nella città including previews and Workshops with Italian and international actors. But it does not end here: on 18th and 19th October, the participants will also take part in the Workshops on story development in the presence of professional screenwriters. After the two Workshops, the 10 finalists will have to develop their story writing (by October 23rd) a short subject of maximum 4/5 pages that will enter the contest and awarded on October 27th. Our short film “AS IT IS ON EARTH” in the GOLDEN GLOBE short listMAGIC ALPS won SHORTS SHORTS ASIA 2018!